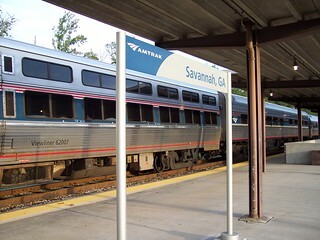 We arrived in Savannah on the Silver Meteor in the early morning. 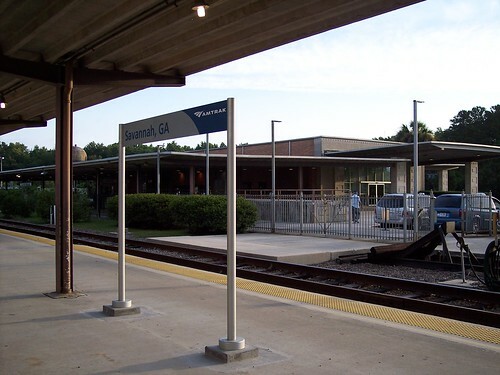 The station building can be seen in the distance. 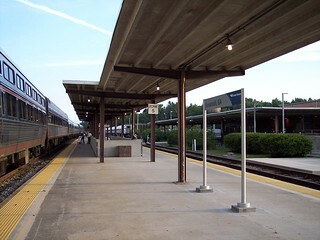 The Silver Meteor is on the left, while off in the distance we can see the Palmetto waiting to depart. 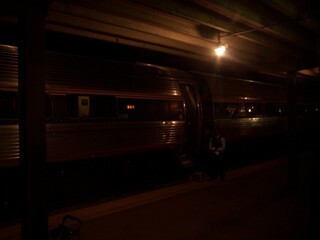 Coming through Savannah on the New York bound Silver Star late at night we see the Miami bound Silver Star on the opposite track.